Why does Public Health—an agency that helps people stay well—care if your pets are up-to-date on their vaccinations? When it comes to rabies, we do care—and not just because we love our furry friends too! It’s because we know the health and well-being of humans, animals and the environment is connected. To keep ourselves protected from rabies, we look at prevention in domestic animals, wild animals and humans. Any mammal—including humans, cats, dogs, ferrets, racoons and bats—can get rabies if they’re bitten or scratched by another animal carrying the virus. Rabies has been found in wild animals in our area, including a skunk in Elora and two bats in Guelph. So how do we stop the virus from passing from animals to humans? Or from wild animals to domestic ones? First, the most important thing you can do to protect yourself and your family is to avoid wild animals. Don’t touch them! Even dead animals can still contain live rabies virus. Second, it’s important to stop the spread of rabies from one animal to another. Did you see a helicopter over Wellington County last summer? The Ministry of Natural Resources and Forestry (MNRF) drops vaccine baits into areas where there’s a high risk of rabies; a successful strategy that’s been in place since the 1990s. Did you know? 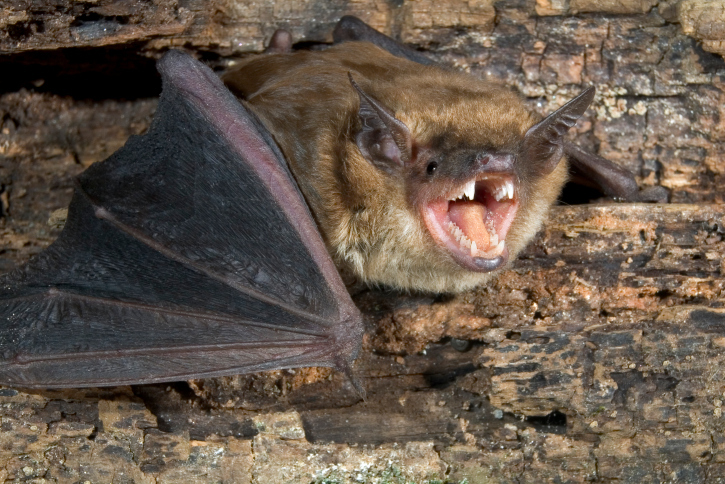 Land animals eat the baits and become immune to rabies; however, there’s no way to vaccinate bats. See where in Ontario rabies has been found in wild animals. Keeping your pet away from wildlife is the best way to protect them from the virus. However, we know animals don’t always follow our rules (and can’t tell us if they’ve been bitten or scratched), so our next best line of defense is to vaccinate your pet as soon as they’re three months (12 weeks) old. Did you know? Stray animals in Hamilton have tested positive for rabies. 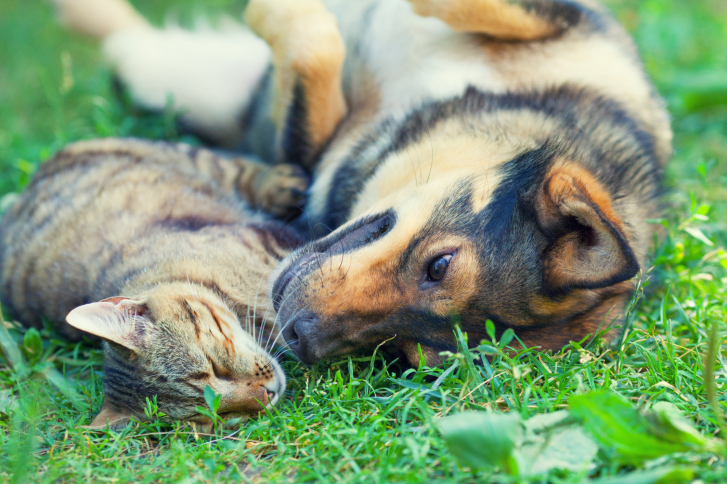 Cats and dogs must be vaccinated against rabies, even if they’re considered “indoor” animals. It’s the law. To help make rabies vaccines accessible to everyone, we partner with local veterinarians to promote and host rabies clinics in communities across Wellington and Dufferin Counties. Need a rabies shot for your cat or dog? Join Public Health and Veterinarian Dr. Julie Ballinger for a rabies vaccination clinic on Saturday from 10 a.m. to 2 p.m. Location: Ambulance Station, 203 Greenwood St., Shelburne, Ontario. Cost: $30 per pet (cash only). If animals regularly have contact with anyone other than their regular caretakers, horses, cattle and sheep must be vaccinated for rabies. Whether or not vaccination is legally required, it might be recommended. Contact your veterinarian or Public Health at 1-800-265-7293 ext. 4753 for more information. Is there a way to prevent people from getting rabies? Again, avoiding wildlife and animal bites is the best strategy – but doesn’t always work. For folks who are travelling to areas where rabies is common and there is poor access to medical care, there is a vaccine available. If you’re bitten, licked or scratched by a wild animal, what should you do? First, wash the wound/area with soap and water immediately. Get medical care (through your doctor or the emergency room) as soon as possible. Then, call Public Health. The key is early intervention—so call us (or go to your doctor or emergency room) as soon as possible. You can read more in our previous blog post What happens after a dog bite. Did you know? An animal doesn’t have to show signs of rabies (aggression, drooling, etc.) to spread the virus to other animals, or to people. Rabies response and prevention in Ontario is a joint effort involving members of the public, Public Health, veterinarians, the Ministry of Health and Long-Term Care (MOHLTC), the Ministry of Agriculture Food and Rural Affairs (OMAFRA) and the Ministry of Natural Resources and Forestry (MNRF). If a person is bitten or scratched by an animal, including a bat, call Public Health at 1-800-265-7293 ext. 4753. After-hours, on weekends and on holidays, please call 1-877-884-8653. If a pet or livestock animal is bitten or scratched by a wild animal, call your veterinarian. If you find a sick or a dead bat, do not touch the bat. Call the Canadian Wildlife Health Cooperative at 1-866-673-4781. If a person has had direct contact with the bat, call your family doctor and Public Health right away. If you notice a wild or stray animal behaving oddly, do not go near it. If an animal is acting aggressively and threatening people or pets, call your local animal control service or the police. Find out more about rabies in Wellington, Dufferin and Guelph.